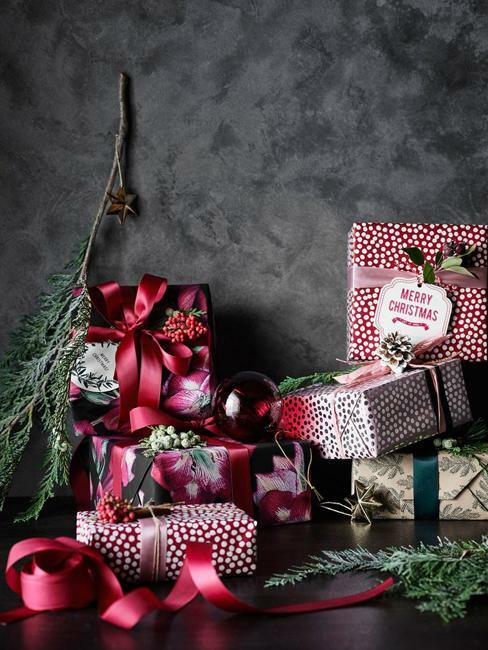 Christmas decorating ideas of H&M Home collection bring beautiful seasonal accents into every room. 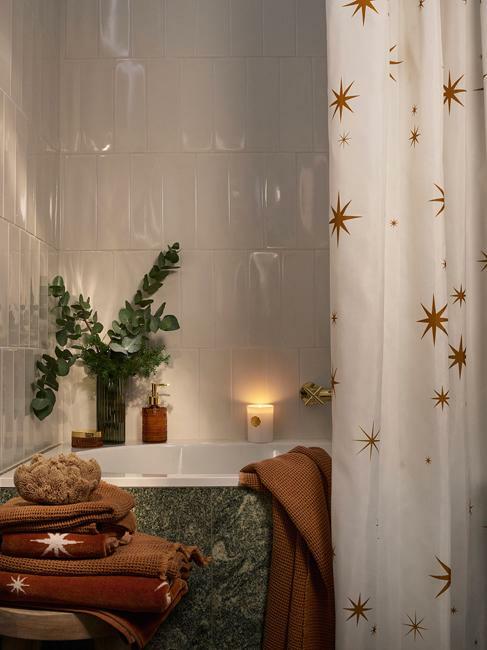 Holiday decorations and traditional color schemes of deep red and green meet the latest trends in decorating for Christmas in the traditional and contemporary styles. 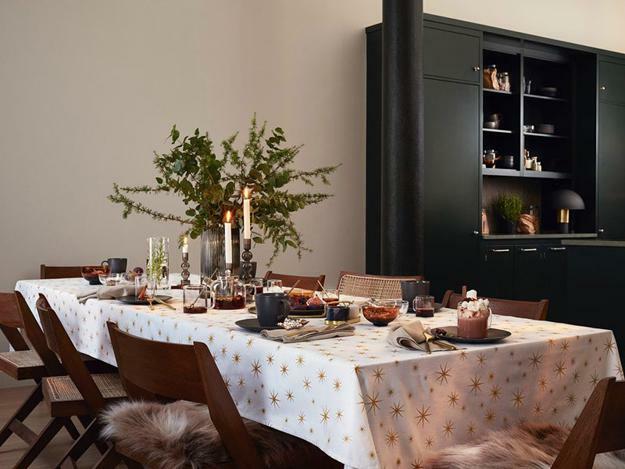 Get inspired by these elegant holiday decorations and ideas, and give a touch of the festive season to your home interiors. 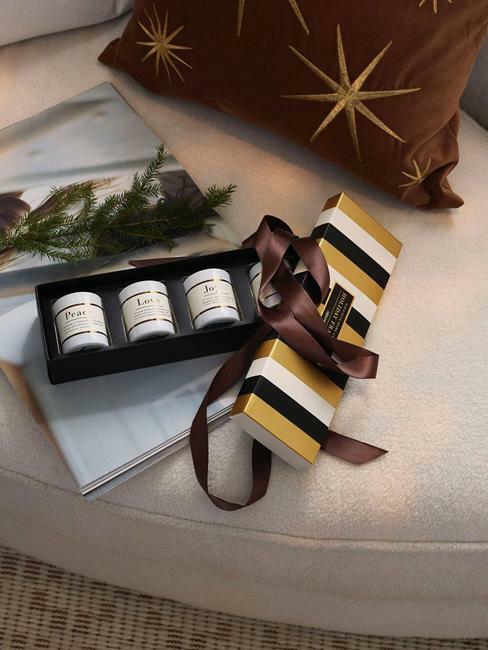 Late fall and December is a great time to think of Christmas decorations and holiday decor ideas for your home. 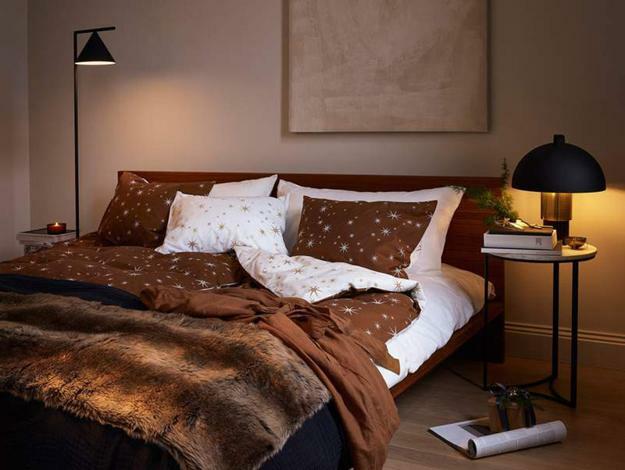 Creativity will not leave you without original designs, but the collection of H&M ideas developed for two different styles is a perfect portion of beautiful, elegant, festive inspirations. 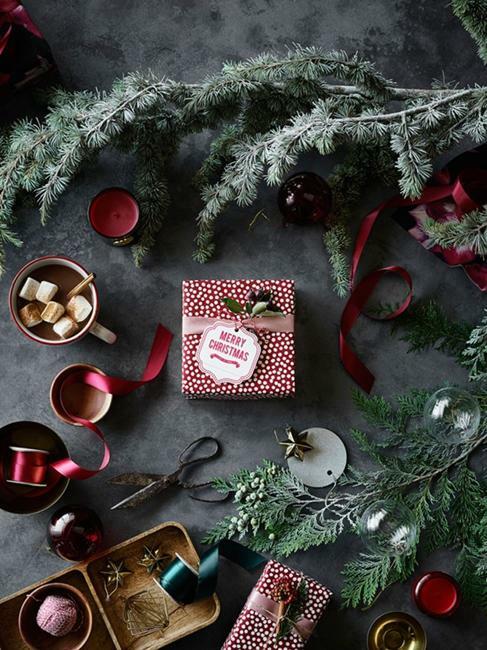 These Christmas decorating ideas bring two gorgeous themes. 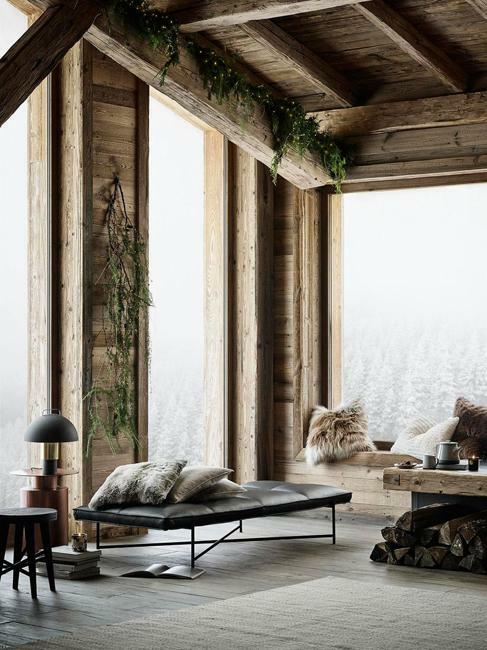 First is a beautiful wooden cottage in the mountains which feels relaxing and familiar. 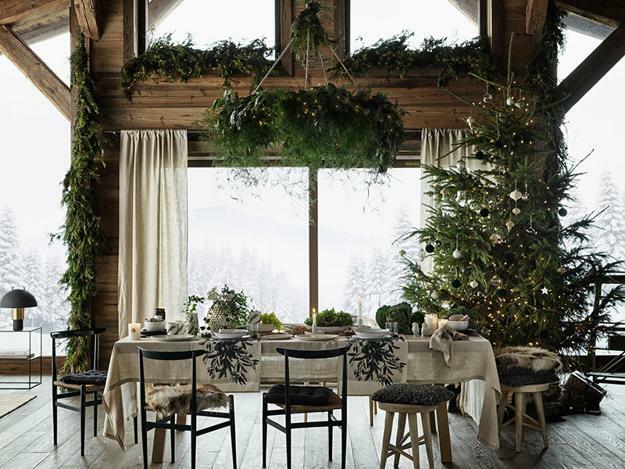 Country home decorating ideas blend natural greens with red color shades, delightful garlands, wall wreaths, and Christmas gifts adorned with ribbons. The second Christmas theme is for those who appreciate the urban environment. 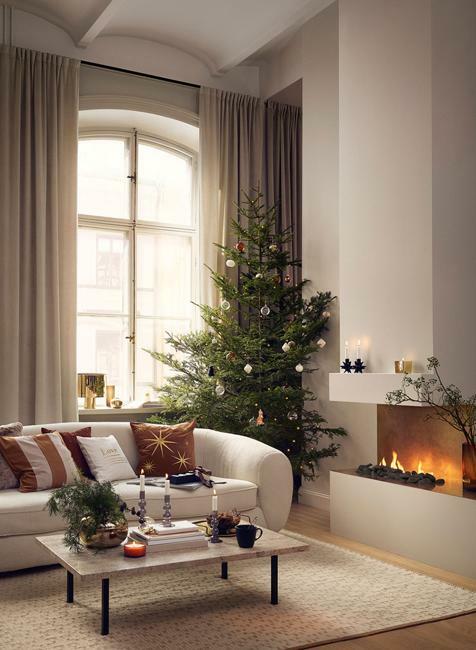 The stylish apartment ideas for Christmas decorating create elegant, with a touch of chic decor. 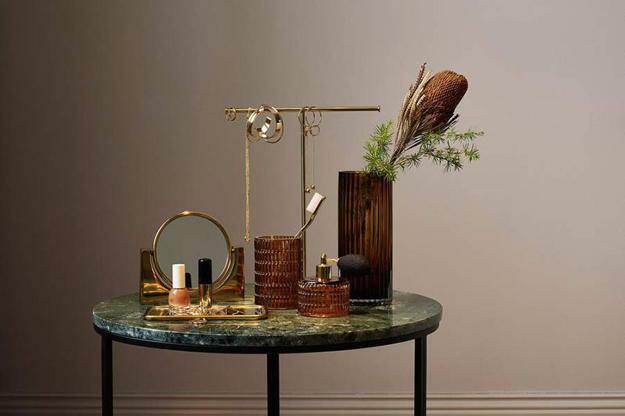 Warm light and dark brown colors, floral arrangements, soft textures are the perfect choices for cities dwellers. 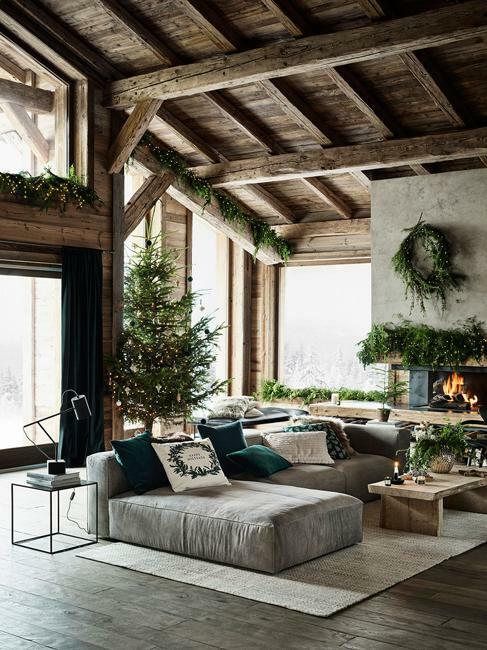 Here is an opportunity to consider two Christmas decorating ideas and choose the style and theme that is closest to you. 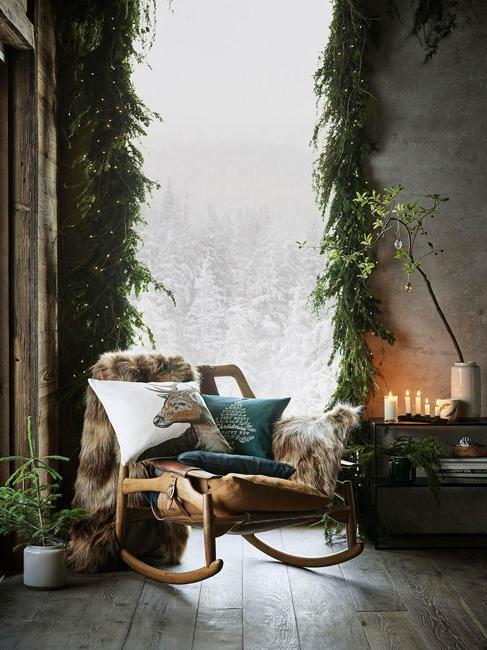 Steal the look or get inspirations for original Christmas decorations for your home. 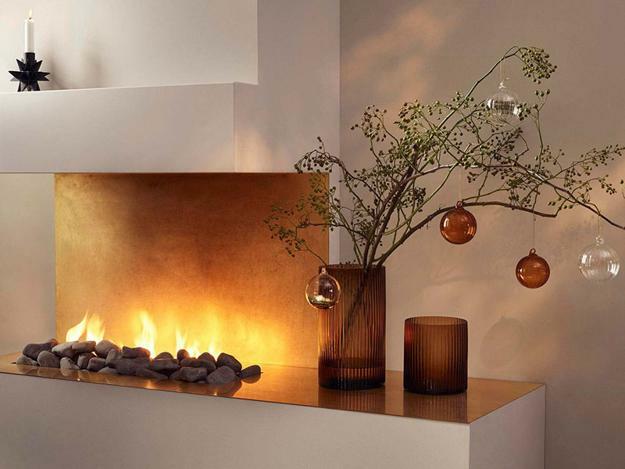 Buy or make holiday decorations to beautify your rooms and set the winter holiday atmosphere for your cozy, elegant Christmas.